Once more unto the breach, then. Just the 802 catalogued in Book 2, and you would like to think there must be a needle to fit your own particular thread somewhere in that haystack. After the heady highs of Book 1, admittedly, plenty of those prospecting the barns on Sunday seemed to fear that they will only find that needle by cutting their fingers. Last week one agent made a seven-figure bid for five animals in a single session without landing any of them. It stands to reason that there might be a trickledown through the next tier of the market. That remains to be seen. The yearlings that made all the headlines occupy a rarefied market. There were, as ever, complaints of a hollow centre - and Book 2 typically spans that area where the one-in-five lots who failed to meet their reserve last week were said to be falling between cracks. As such, the next three days should prove far more instructive about the depth of the bull run suggested by record indices either side of the Atlantic. In the words of Luke Lillingston, well placed to judge as both agent and consignor: "This is the main marketplace: Book 2. For this sale, for the season, for the year. This is the barometer." Lillingston is among those cautious about the delirium at the top end last week, having consigned two colts with a reserve of 100,000gns – and sold both for precisely 100,000gns. "I don't know how many people were trying to buy yearlings for quarter or half a million," he said. "I should think it was very difficult for them. Below that, however, I would say it was equally difficult to sell. I think there was more polarisation than we've seen for some time. Book 1 does tend to be like that. You couldn't say anything but that the overall sale was good. But it would be irresponsible to say that it was all good. It’s only at the end of this week that one can really comment about the whole market." Mick Flanagan of Townley Hall Bloodstock agreed. "The market last week was savage – but very selective," he said. "I think we're seeing that in Australia, we’re seeing that in America, and we're seeing that in Europe. People are trying to increase the probability and minimise the risks. So if you go to a sale with a very good-looking horse, it doesn't mean you're going to get bundles of money. The pedigree now has to stack up with the physical. "Book 2 is a bit different. There are more guys buying on spec. You'd say that people who couldn’t fill their orders last week, that just has to spill into Book 2. But it will still be selective. The horse with a blank first dam and blank second dam, the third dam just mightn't do it any more. And it has to be by a commercial sire." That last point is worth factoring into last week's numbers. For all three sires packing the biggest punch, the situation has changed. Book 1 listed 30 yearlings by Dubawi, compared with 13 in 2015, when many of his progeny changed hands privately. Galileo, belatedly, was "in open play" with Sheikh Mohammed putting aside his past reservations. And Frankel has come of age in his second career, now verging on a status symbol. In Lillingston's words, buyers were arriving from Japan as intent on a Frankel as on a red Mercedes. He does credit Tattersalls for underpinning the middle market with the Book 1 bonus, albeit did not see quite so many types this year obviously eligible to break their maidens at two. But he also expects a strong Book 2 market, in its own right, simply because there are so many nice horses. Among his own Mount Coote draft, for instance, he rates a New Approach colt the classiest he has offered this year. His main reservation about the next three days is the preponderance of colts. "If I had [the right] client I'd be taking a good look at Book 3," he said. 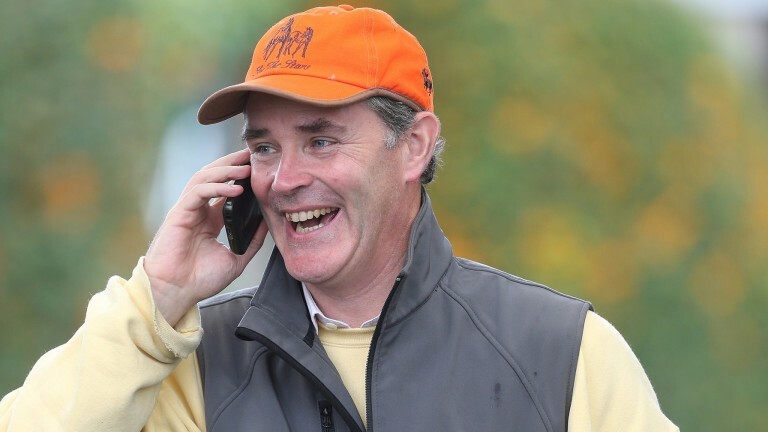 "I think there will be plenty of nice physical fillies, quite a lot by stallions that aren't perhaps considered fashionable but capable of getting you a good horse. They will be there – they have to be, because there are so few in Book 2." The final, cautionary word goes to Flanagan. "Everyone seems to want fast, early horses," he said. "You see it at all the yearling sales. But if those horses don’t work out on the track, it's very hard to trade them on afterwards. And in two weeks' time, when we’re all back here at the Horses-in-Training sale, it'll be the the Champs Elysees, the Nathaniels, that are going to make fortunes to go to America and Australia. If you only buy those precocious types, you'll end up giving yourself an uppercut."